We are moving to Monterey Village plaza. 6130 E. Speedway Blvd next year. 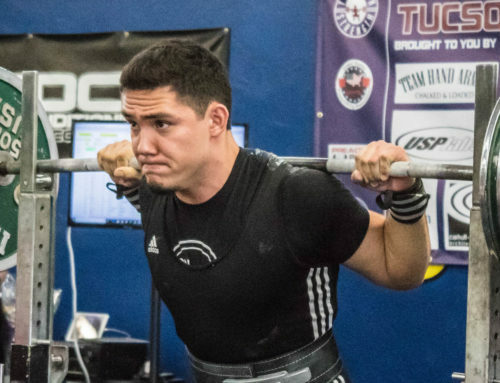 The 12,400 square foot strength and conditioning facility will have numerous power racks, powerlifting equipment, Olympic lifting equipment, obstacle course specific equipment, and specialized cardio machines that you will not find anywhere else in town! We wanted to open up a world-class strength and conditioning facility. This is not another gym. If you are coming here, you are serious about your training and want to surround yourself with people who feel the same. 50% off the enrollment fee. Only $50. The first 3 months at $39 per month with a 12-month autopay commitment and the remaining months at only $49 per month. Each sign-up will be securing a spot in our limited availability open access membership. During the event, we will be collecting the $50 enrollment fee, $39 for the first month, and a $5 barcode fee. The next payment of $39 will not be withdrawn until February 2019. You can only sign up in person, no online sales! Why are we doing in-person sales? 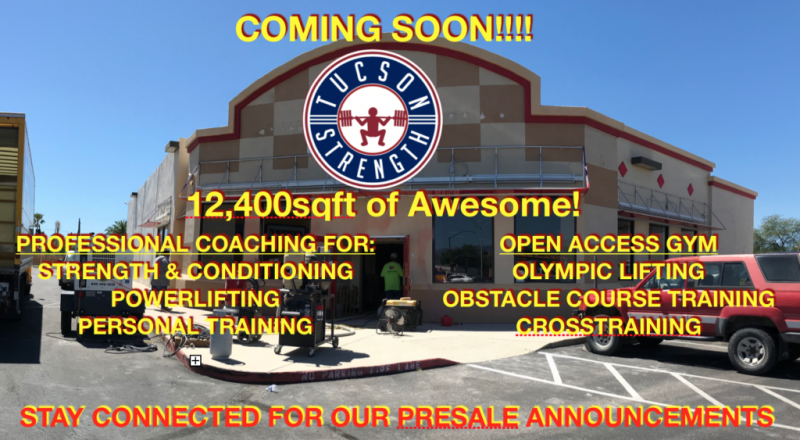 I can’t express the excitement I have for the new Tucson Strength facility that is currently being built at 6130 E. Speedway Blvd. The growth of our facility from our original 1000sqft spot in 2010, to now a 12,400sqft space has been surreal. We will offer all of our current programs plus an open-access strength & conditioning facility. There are times I have to shake my head to wonder how we got here with no brand name or franchise behind us. The other day Jesus Acuña and I were discussing how we plan on launching the new gym, from programs and equipment purchases to all the pre-sales and marketing events we need to organize to get this off of the ground. Things have been moving fast, and we put some really great deals together and developed the portal to sell memberships online. As we were about to launch, it just didn’t feel right to us. We have sold online with some short-term promotions in the past, but we are getting ready to launch a world-class facility and grow our community considerably. We looked at each other and knew this wasn’t who we were. We did Groupon in the early days and it paid off for us in memberships, but it always created more chaos and attracted some people that didn’t understand what we were about as a company and disrupted our community. I realized that just throwing new member specials online to be the primary way we grow our gym would possibly do more harm than good and go against our Core Values. But Danny, Online Sales are the way of the future and you must take advantage of this to market your business! We have thought this through considerably and decided against pushing our pre-sales with an online sales platform. We need to grow faster than I am usually comfortable with, but we want to grow on our terms and ensure that our values are upheld even if it means fewer members right away. 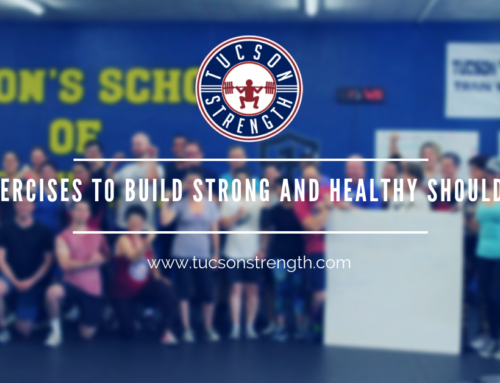 Whether you are looking to purchase an open access membership or a training program, we want to meet and chat with each of you and learn about your goals and how Tucson Strength can be a part of your journey. We also want to share our expectations with each person of how our gym is run. This isn’t just a mindless big box gym. 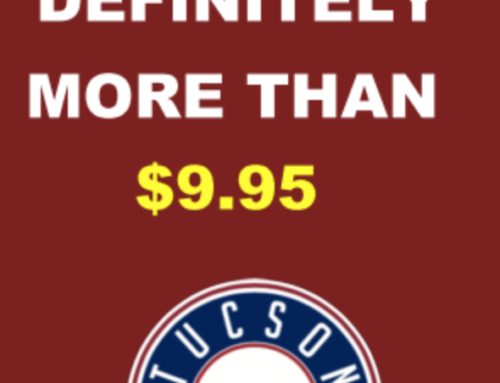 We follow a code of conduct at Tucson Strength and every member has a responsibility to uphold it. Some of you may be reading this and be excited to hear there is finally a place like this! Amazing equipment in the community not filled with knuckleheads. Others may read this and roll their eyes. If you are the later, no need to apply, but if our message vibes with you, welcome you to your new home. Oh…. one more thing. We will NEVER hard sell anyone on a membership or training package that is not right for them just to make a sale. I am embarrassed by how the gym industry presents itself. Our sales system is about you! Not what’s best for us. We want to learn about your goals and present you with the best fit based on your goals, time, and budget. 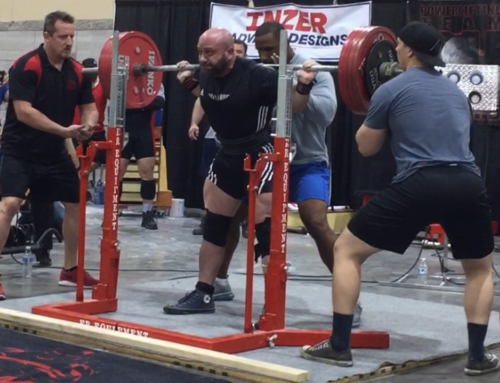 If we are not a fit, no worries there is no pressure or hard sales tactics ever when you inquire about our programs at Tucson Strength. 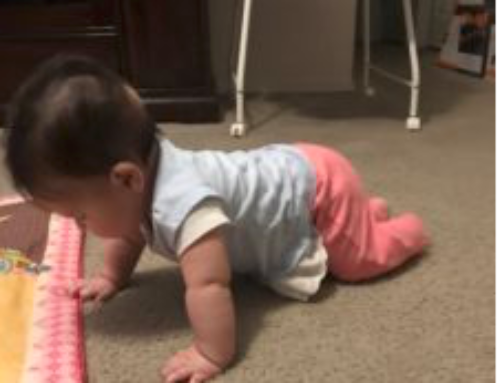 Call us at 520.445.6800 to schedule a time to come in and sign up! 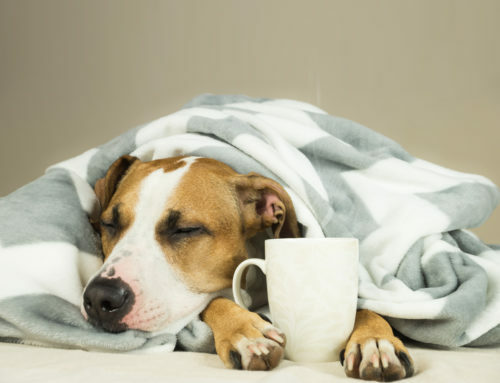 We prefer appointments since we want to make sure we are available to sit and meet with you. If you have questions about the new location and the details, check out the frequently asked questions post.